Pakistan team celebrated the nation the national team’s journey to the top of the world ranking along with the rest of the nation after a long seven years wait in which they mostly played at neutral venues. India, Pakistan’s arch rival where at the No 1 position before they last match between India and West Indies ended up in a draw due to rain in Port of Spain,Trinidad. Pakistan under the captaincy of Majestic Misbah-Ul-Haq’s leadership rose to glory after nearly being overshadowed with the rumors of spot-fixing against the very same host they played recently around six years ago. New Coach Mickey Arthur also mentioned that this is just the start for Pakistan and there is still a long way to go. He congratulated the players who took extreme efforts in the recent test series he coached Pakistan which they were successful to draw with a 2 on 2 result against host, England. He also said that he had been lucky to get a team that was well thought and constructed by coach Waqar Younis, former Pakistani pace-man. Also he specified that , ” It is easy to get at the top but its very difficult to stay there with the stiff competition offered from other test playing nations including arch rival, India. The momentum needs to be ongoing, we should not be lost and should try to improve are performance day by day”, he added. It is indeed the greatest moment in the life of Misbah-Ul-Haq’s who has guided Pakistan for 46 test since the spot fixing scandal and have generated such wonderful results for them. 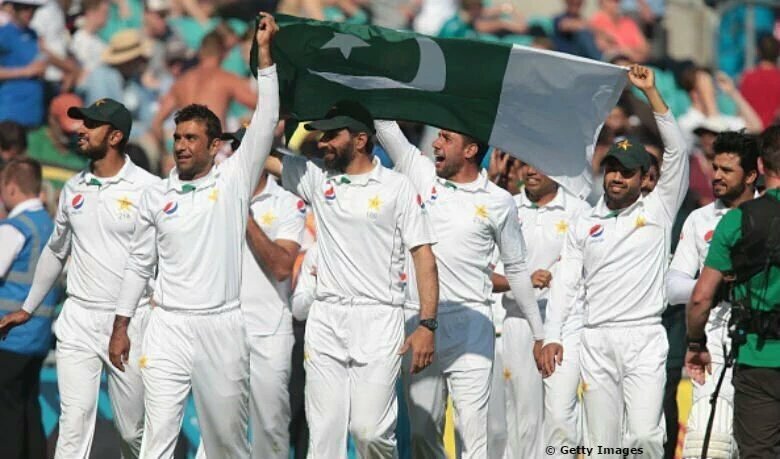 If Pakistan remain in the number 1 spot until April 2017, ICC would be rewarding them with a $1 Million prize money. Also ICC will be presenting a special trophy to them in honor of the achievement in the next month.